On June 16th 1974, A meeting was convened by an interested group of people with the purpose of establishing as Association and Registry for a new breed of coloured ponies. Man as a species , has always been fasinated with uniqueness things that were out of the ordinary. It was apparent by those present at the meeting , that a specific Breed Of Pony , similar to the mounts used by the Nez Perce Indians , would be an ideal type of versatile pony for Australian Conditions. The ponies of the Nez Perce , who lived in rugged regions of Washington and Idaho, where highly prized ponies with spots. Unlike most of the other tribes, they used selective breeding practices , breeding only the best to the best , breeding a superior pony in conformation and temperament. 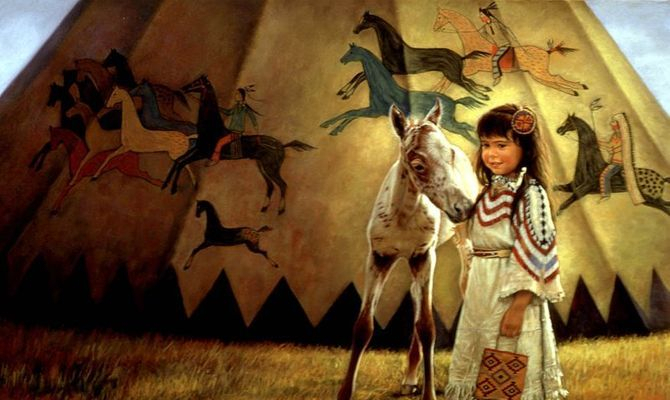 More whites travelled through the area , and begun calling the spotted equines the "PALOUSE" , Named after the Palouse River that ran through the territory of the Nez Perce. The Spotted ponies of the Nez Perce were fine equine examples. They were amazingly Strong , Tough and Hardy with impressive Stamina. The majority of people present at the meeting agreed that the most original name selected from several nominated names was Palouse. 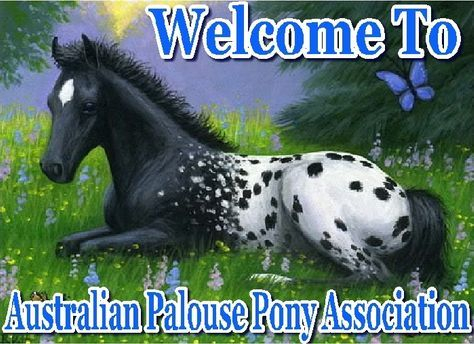 The Australian Palouse Pony Association was formed. The palouse ponies should show style , substance , beauty and symmetry with a sound temperament. At maturity the Palouse Pony must be under 14hh. The Palouse Pony is a versatile pony for the entire family. The Association has the objective of developing a breed of pony with disposition to be handled , trained and enter competition by adults and both senior and junior youth. The Major event of each year is the National Show , run by the Association with individual States conducting their own Shows. The National is an inspiring spectacle to watch the sportsmanship , competitveness and the ability of the Palouse Ponies , Showing him as a pony capable of all disciplines , Halter , Dressage , Ridden , Both Western and English , Trail , Harness and the ever-popular Games. 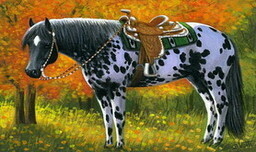 His temperament , size and durability means that all the family can use the Palouse Pony endearing him to all.